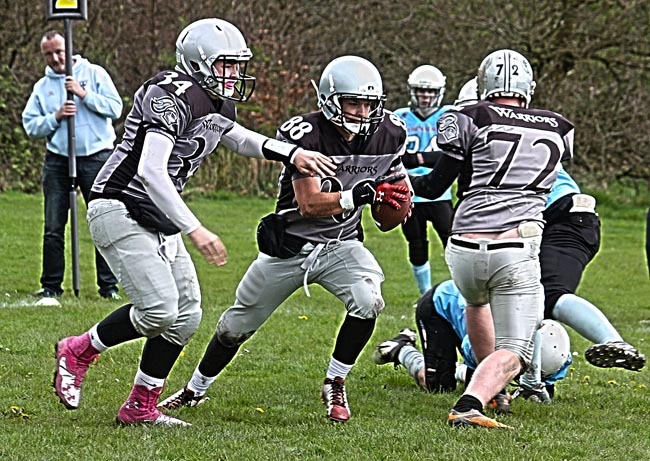 Woodham Warriors started their 2014 British American Football season with a tough group of away fixtures in Burnley. Woodham, who have been beaten National finalists in each of the last four seasons, were looking to regain the magic that had taken them to Northern Conference champions and all the way to the British final in 2013. Playing the home town Burnley Tornados first was always going to be a difficult fixture, Woodham were buoyed by great performances from James Rawe, playing his first game as a Warrior, and Richie Howe. The Warriors dominated the game right from the very first play, touchdowns by Kyle Broad, Chris Horn and Josh Penny saw the team take a commanding 22-0 lead into half-time. Woodham extended their lead to 30-0 in the second half, before changing things up to finish the game. Burnley finished strong but were never a match for the Warriors, as Woodham ran out winners 30-14. The second game saw Woodham face off against league new boys Pennine Panthers. Again, the Warriors led from the front, flying out to a 16-0 lead. Pennine impressed in their first outing of the season but were too inexperienced to match a well-oiled Warriors unit. Kyle Broad led Woodham on offense and defence, Woodham pulled away in the second half to win the game 47-13. The third and final game saw Woodham matched up with Manchester Titans, a team with a great men’s league pedigree. Woodham were once again too strong for their opponents, dominating the game from the outset. 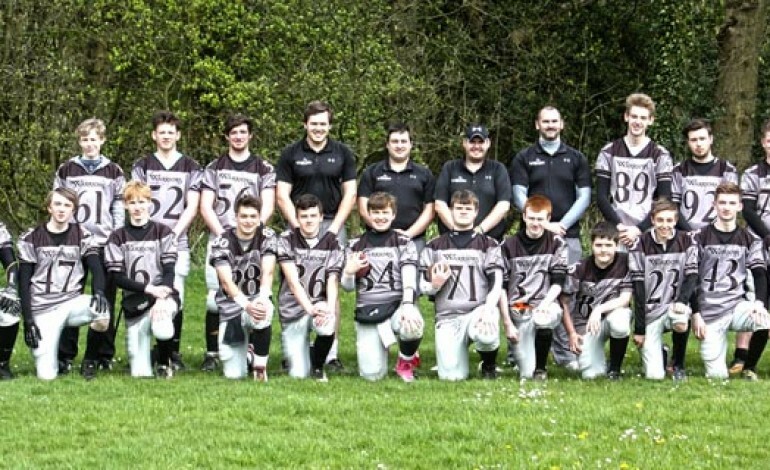 A fantastic performance from Kaleb Stephenson on defence led the Warriors suffocating defensive unit, that, matched with a brilliant display from Dylan Lumley on offense and Callum Clasper getting his first career touchdown, saw Woodham cruise to a 52-6 victory. Head Coach Danny Ketch said: “It’s been a long, tough winter. Our team worked very hard to prepare for the season and they are now reaping the rewards of it. Woodham now look forward to another away trip, this time to North-East rivals Newcastle, on Saturday 17th May.